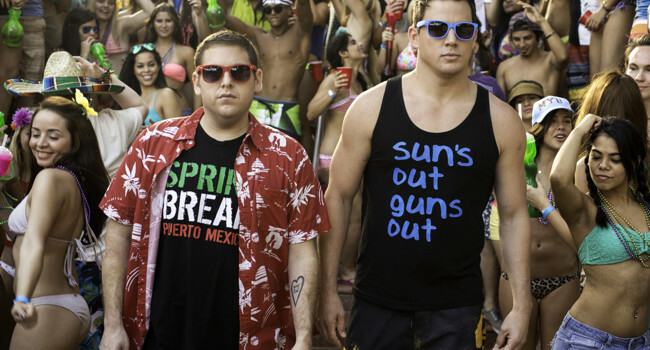 Morton Schmidt (Jonah Hill) and Greg Jenko (Channing Tatum) are back as a blundering cop team in 22 Jump Street. They are assigned to go undercover and this time they go back to college to track down a drug supplier. Not only does this mean they get to go back to fraternity parties and college girls but best of all, they get to back to spring break.